Yesterday, a number of websites and Apple fan blogs when nuts with the news that Nike had laid off most if not all of their Nike+ hardware staff and was planning on spinning down their fitness hardware sales. Articles, like the one that appears on Cnet.com suggested that Nike would shift from a hardware software solution to a software only platform solution that others can write applications for. 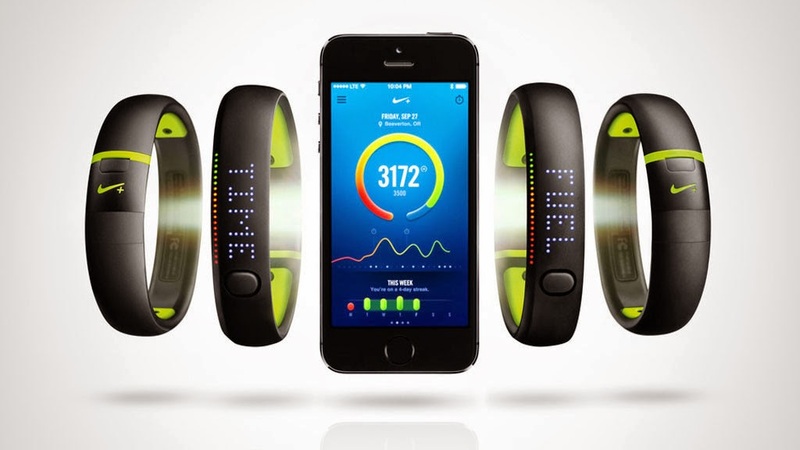 But then, things took a 180-degree turn when Nike reported to Re/code that it was true that a "small number" of layoffs did take place, but that Nike had no plans to halt sales of the current Nike+ FuelBand SE. There are a few pieces of information that we need to keep in mind here. First, is that the wearables market is still a relatively new market and, in my opinion, no killer device has been released yet. Yes, the FuelBand is popular as are the FitBit and the Pebble. I'm seeing more people starting to use "wearables" in my office. Another thing to consider, as was pointed out in some of the articles that appeared over the last few days is that Americans start things with the best intensions, but after a period of time, stopping doing them. This explains, perfectly, my on again, off again relationship with my local gym. At least I'm not alone. I think this supports my first point above that people buy wearables with the intent of being more fit, and then slowly use them less as time goes on. As an Apple fanboy, there are two other things to consider. We know that Apple is working on some kind of "wearable" device. The popular opinion is that it is the "iWatch". Recent rumors of the iWatch has been all over the map, but we know it's coming. I'm in the camp that says the watch will be more of FuelBand device than a traditional watch. Any entry of an Apple "wearable" is likely to have a negative impact on other other smaller players, like Nike, when it is first released. The last item to consider is that Apple has had a long relationship with Nike that goes all the way back to the iPod and the Nike+ running accessory. What I learned yesterday, which I didn't realize, is that Apple CEO Tim Cook is a Nike board member. Does Nike's board know more than we do about what's coming next from Apple related to their new Health Book application and wearable? Maybe. Nike was at the front of the like with an application to support Apple's M7 coprocessor in found in the iPhone 5S. Maybe that, in some small way, is a glimpse into the future of the Apple/Nike relationship; Apple takes of building the hardware, and Nike with their Nike+ API kit, develops applications using their Nike+ Fuel points system for all of us to use in the future. We'll see what the future holds with the announcements from Apple's WWDC that kicks of on June 2 and then again in late September or October when Apple finally releases new hardware.